Virtually any time, any place in the world. 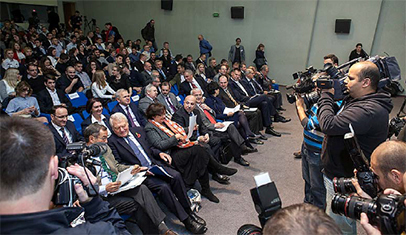 Nov. 4-8, 2015, we provided PR and media advice and counsel onsite to the American University’s Conference on 20 Years after the Dayton Peace Agreement that ended hostilities in Bosnia. View the Japan Broadcasting Corporation (NHK) Documentary on the PR War in Former Yugoslavia. Based on the work of Ruder Finn senior executives, who later founded Global Communicators, the documentary, “Ethnic Cleansing,” describes the international public awareness campaign that helped win the PR war in Croatia, Bosnia and Herzegovina, and Kosova between 1991 and 1998. It won the PRSA Silver Anvil for Excellence in Crisis Communications, and other PR accolades. Two books on the documentary, published by NHK in 2002 and 2007, have become “must-reading” for Japanese university students of PR and communications. Acclaimed NHK Senior Producer Toru Takagi directed the two-year project that was broadcast in 2002. 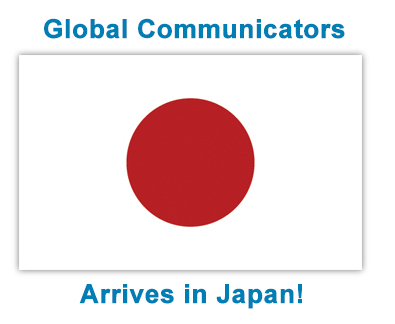 Global Communicators' Asia-Pacific presence was expanded recently through a strategic affiliation agreement with Makaira K.K., a Tokyo-based public affairs consultancy focused on technology, culture, and social innovation. Ko Fujii, Representative Director and CEO of Makaira, and Global Communicators have collaborated jointly on several Japanese-U.S. projects over the last year. Considered a "Japanese 3.0 Renaissance Man," Mr. Fujii has been described as "a connector of intelligence, technology, and people." He is former head of Public Policy and Government Relations for Google Japan. Before Google he worked at FleishmanHillard Japan. Joint projects since our alliance have included a media relations project with the Ministry of Foreign Affairs through which we identified and recruited U.S. media on various beats to visit Japan and see for themselves. We also headed a U.S. research assignment with respect to foreign broadcasters that communicate with American audiences. In October 2016, our President and CEO Jim Harff participated as a panelist in the inaugural Hiroshima Conference on Marketing Peace that attracted speakers and an audience from around the globe. While in Japan, Jim spoke to four groups of Japanese decision makers, including the Public Relations Society of Japan. Japan, the third largest economic powerhouse in the world and a friend and ally of the United States for more than seven decades, is an exciting and emerging market for public relations, public diplomacy, crisis communications and other skills that our professional staff find intriguing! From providing media relations to major multinational corporations to directing global public relations for Nobel Peace Prize laureate Muhammad Yunus, to generating impressive increases in tourism for Croatia and Jordan, to counseling Western Switzerland, Honduras and Bolivia on foreign direct investment, Global Communicators has been a trusted source of effective strategic communications advice for clients around the world since 1997 from its hub in Washington, DC. Small by design, Global Communicators and its Washington core professionals are linked to 20 Strategic Partners and ten Senior International Adviser across the United States and internationally. Over the last two decades, Global Communicators has directed major media projects on virtually every continent. The award-winning results have been decisive and cost-effective. They have made a difference. As a result of its innovative virtual corporate structure, Global Communicators is flexible, adaptive, agile and responsive to client needs related to public affairs, media relations, issues management, foreign direct investment, travel and tourism promotion, crisis communications, integrated marketing, and social media applications. The experienced communications professionals of Global Communicators are adept at looking over the horizon to anticipate communications strengths, weakness, opportunities and threats for clients that include foreign governments, U.S. corporations, non-governmental organizations, and international leaders. Through its partners, Global Communicators offers a full range of public relations, advertising and graphic design services. We form long-term relationships with our clients based on trust, confidence, creativity, and results.